Many small business owners usually see SEO as an unnecessary cost for their local business. They believe it is not worth the time, money and energy and believe that SEO is slowly dying - but they have never been in a bigger misbelief. SEO has not stopped growing and expanding and it used to be a major part of large and medium-size businesses, but nowadays it is just as important for small businesses. On-Page SEO: Any work you do on every single page on your website to improve your ranking is part of your On-Page SEO strategy. Besides keywords, this includes creating URL paths, optimizing images on the page, loading speed, as well as H1/H2 tags. Off-page SEO: You can also take your SEO to a higher level by taking action outside of your website. The most popular way of improving your Off-page SEO is link building, but this category includes other platforms like social media, business profiles, blog articles etc. Sometimes SEO can be complex, but this is not a reason to avoid taking care of it. Most of the SEO steps cost only time and SEO altogether is much more effective than costly marketing tactics. Collecting leads on your website for example, is way cheaper than cold calling. However, once you know how to do it, SEO is a very simple tactic. If you are doing the right things for SEO, as a small local business, you may have an advantage even over the big companies. Google likes content from local businesses because it gives extra value for the users. By doing a research on the Google Keyword planner, you can find long tail keywords which are phrases that describe what your business offers with the location included in the sentence. After deciding on the keywords, all you need to do is create content around those words. Keep in mind that the size of your business is not important for Google, meaning if you use spammy and scammy techniques and low quality backlinks - you will be penalized. You need to build your authority by linking and being linked by relevant authoritative websites and create content that your readers will love it and share it. After creating your content, social media is the best place to share it. You can share links from your blog to drive traffic to your website. Regular posting is necessary to engage readers and customers, as well as interact with them in order to create a relationship. Do an additional keywords research and you will be able to choose the best terms out of the extended list of keywords. When it comes to the performance of the keywords, quality is more important than quantity. Add the keywords throughout the text and in the code. Moreover, you create extra high-quality content around the web, on your website, your blog, social media, guest posts, hashtags etc. This shows to Google that your business is relevant to the keywords. In order to gain the trust from Google and have local people visiting your website, you need to sort out all the links and keywords and promote your website the best way you can. Visitors that have a positive experience on your website are your next potential customers. After optimizing your website with relevant keywords, you need to keep track of the performance of the keywords and act accordingly, meaning if some keyword does not perform good, you can remove it, etc. As an extra you can do for your local small business is to apply for Google Local Business. After finishing all the steps above, regularly check your analytics tool. It is important to measure your performance so you can always know what needs to be changed, what works and what doesn’t. In order to keep up with the competitors and survive in the business world today, you definitely need SEO. Whether it is a small local business, a brick and mortar business or a niche business with a selected audience, your business will fail if you don’t get optimized for search engines. You will not be visible in today's world i.e. to everybody online. Nobody will be able to find you and you will lose potential customers every day. Start with the basics and keep growing as your business grows. There is no need to start big, just to start! Every journey starts with the first step! Let us guide you and make your life easier. 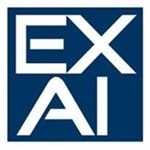 Exai provides Automatic On-Page SEO, which practically eliminates the possibility for you to miss out on something. With this built-in tool, there will not be a single page left without SEO. Exai’s Website Builder gives you a clear overview of your SEO so you can easily apply any change at any time. This includes all of your keywords, meta tags, meta description etc - have it all done with no coding!